Constellation Canes Venatici, the Hunting Dogs, is a small northern constellation that was created by Johannes Hevelius in 1687. Canes Venatici is Latin for “hunting dogs”. 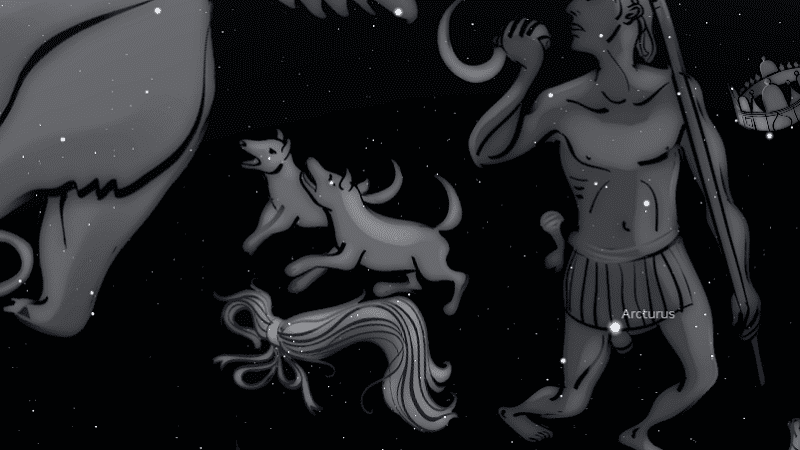 As shown above, they are shown as the dogs of constellation Boötes the Herdsman. Ptolemy included the stars of Canes Venatici in Ursa Major. Canes Venatici is bordered by Ursa Major to the north and west, Coma Berenices to the south, and Boötes to the east. 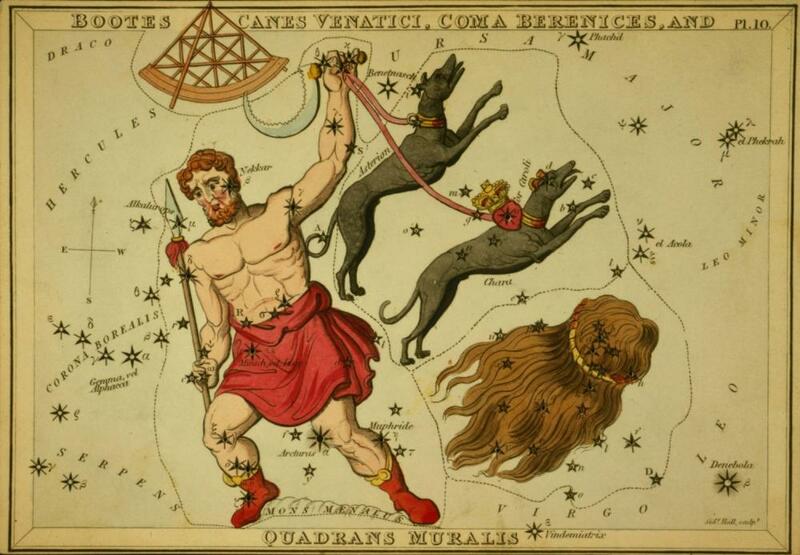 Being a recently added constellation, the naming of the stars has become very confusing, with Asterion referring to the hound which does not contain the star Asterion. The southern hound is called Chara and containes α Cor Caroli and β Asterion. Chara is Greek for Joy, or Dear, and has also been called “dear to the heart of her master”. The northern hound is called Asterion and contains M51 Copula. Asterion means Starry. 1. The Living Stars, Dr Eric Morse, 1988, p.xed Stars and Constellations in Astrology, Vivian E. Robson, 1923, p.34.